According to the Oxford English Dictionary, a Flashcard is a card containing a small amount of information, held up for pupils to see, as an aid to learning. Here at ExamTime we have stuck closely to this principal even if our Flashcards have gone digital. 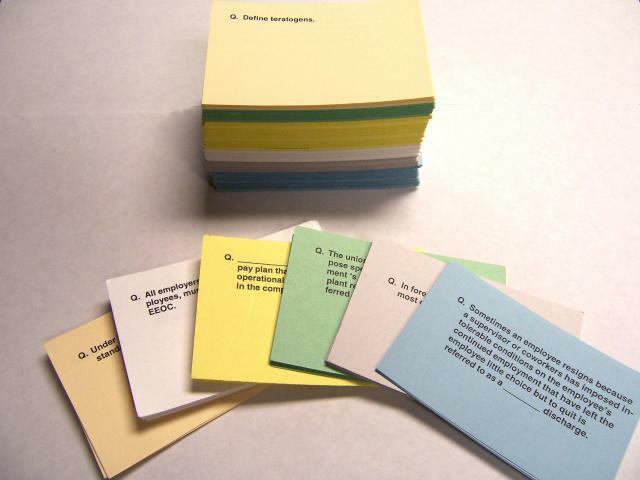 Traditionally Flashcards were simply written on paper and saved for an important exam. As technology evolved so too did Flashcards and with them, the ability for teachers to implement Flashcards into their classroom. We have talked about the benefits of Flashcards before so in this section we simply want to share some great Flashcards with you that will work well in the month of October. Why? Because October is a great month. There are the Halloween celebrations, Christopher Columbus Day, Leif Erikson Day and Alaska Day. If we have left an important event out in your calendar, let us know, or better still, sign up to ExamTime today and create your own Flashcard masterpiece to celebrate your day. Vikings have always been interesting and Leif Erikson was no different. With their impressive flowing hair, muscular physiques, silver plated armour and sailing ships, they capture the imagination of classrooms the world over. Here is a great Flashcard deck based on the 970c Icelandic Viking Leif Erikson. This deck has only a few brief points so why don’t you do some extra research on Erikson and make your own Flashcard deck with even more points? Despite being the bigger household name, Columbus was not in fact the first person to discover America. Leif Erikson mentioned above was. However, that doesn’t mean that Columbus should be ignored. It required great bravery and navigational skills to do what Columbus did. Find out more about his exploits in the Flashcard Deck below created by another one of our users. When you have finished, why not head over to our Quiz Making Tool and create a quiz based on the information in this deck? Alaska Day is just around the corner. The day is celebrated on October 18th every year and celebrates the transfer of the territory from Russia to the United States which happened in 1867. In the Flashcard deck below that we came across, one user has compiled a bunch of fun facts about the state of Alaska. If you are a an Alaska Native, put your skills to the test and create your own Flashcard deck compiling the most useful information about your area. Halloween is one of the best nights of the year to be a kid, or an adult. Dressing up, going trick or treating, playing Halloween games and telling stories. Why not get Halloween started early with this Flashcard deck we found on ExamTime. In it this user has talked briefly about the origins of Halloween, some interesting facts and which Halloween film to watch. Check it out. There are lots more games and things to do on Halloween that this user has not mentioned, why don’t you create your own deck and list in it your favourites. As you can see, Flashcards can be used in a wide range of areas. This time we focused on major events and dates in the calendar just to show you what can be done. In each of the resources above we have uncovered, names, places, dates, periods and more. I bet you didn’t even realise you were taking that all in you were enjoying using the Flashcards so much. Feel free to use these resources in your classroom as each date comes closer. Tell your teachers about them or teachers, have fun with them in your classroom, they look great on a white board. Let us know what you’d like us to cover in the months of November and December.